Want an easy way to liven up your day? 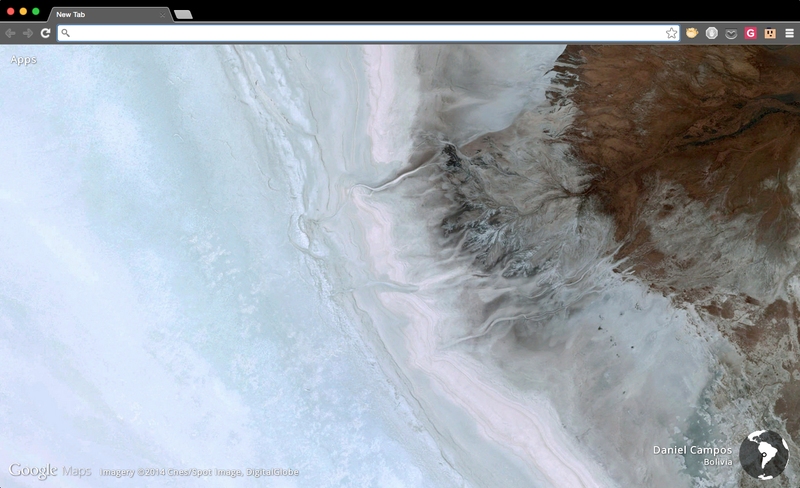 Download the new Earth View from Google Maps extension for Chrome. It shows you a striking new satellite image every time you open a new tab, and it's delightful. There's seriously nothing else to it. Once installed, instead of seeing the boring old white page and search bar, you'll see a beautiful aerial shot of a random location on planet Earth along with the location name. There's not even any lag.